I am officially done with school and that hustle of working whilst studying part time is over. Yeaay! That means i have more time to invest here :) In line with that i am starting a new segment on the blog were i feature other bloggers. First up is the lovely Chiedza, who is the face behind persuasioninczw. I find it so fascinating how she is not only an editor and fashion blogger but she just graduated from Bible school and started a sisterhood called Good Girls Go To Heaven. How cool is that? A God fearing beauty and fashionista with brains! 1. Tell us about Chiedza & what inspired the name Persuasion Inc ZW? 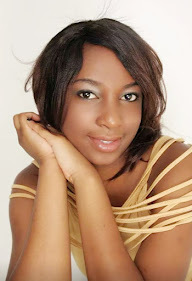 I am a fashion and lifestyle blogger and who runs the blog Persuasion Inc ZW. I’m the former Editor of The Parade Online Magazine. I’m passionate about living life in a way that truly reflects the person I am. I am a big fan of burgundy colored hair –it’s like my go to. I like color’s that pop and often see people’s lives as a blank canvas that could do with splashes of color frequently. I love trying new things – there’s so much the world has to offer and I feel cheated when I’m not out there doing stuff or trying new things. I believe in a holistic view of fashion: in that fashion isn’t just about the clothes you wear, it’s in the food you eat, who you hang out with and where you frequent. Fashion in a nutshell is a lifestyle. I’m big on encouraging people to be the best version of themselves and I find true fulfillment from that. When it came to choosing the name Persuasion Inc ZW I was looking at something that came from art itself and my love for words. Words can entice, persuade, excite and arouse interest and that’s how Persuasion came into play. Plus I love a little sassiness and spice with just about everything. 2. What inspired you to be a blogger and how long have you been doing it? I’ve been blogging for over a year now. When I left my editorial job – I wanted to build up on the skills I had learnt in my former job and do my own thing for a change. I chose to focus on fashion and lifestyle because it’s what I enjoy and love to do each day. Besides being my own boss and blogging in my PJ’s – the blogging route is a plus for me. I’m learning to apply myself and treat my blog more and more like a business each day and currently focusing on building the Persuasion Inc ZW brand. I’m really looking forward to the times ahead. 3. What type of audience do you think your blog caters to? My blog caters to young women like myself – who appreciate fashion and lifestyle and want to know more about how to incorporate it into their day to day lives. 4. Can you share your skincare routine? I follow 3 basic daily steps – Cleanse – Tone- Moisturize. I do however make time for a face mask two – three times a week and I use a face scrub twice a week. 5. Which beauty product can you not live without? I can’t decide between these three. Black eyeliner, lip gloss and mascara; I love them all. 6. What is your take on commercialized cosmetic products vs. DIY natural products when it comes to hair and skin care? Have you tried any DIY’s yourself? I do believe natural products are best but I won’t turn down a commercialized cosmetic product if it works for me. I have tried a number of DIY for my face because I have oily skin and the struggle can get real and I just want something that won’t aggravate it further. I’ve tried a cucumber and oatmeal mask, Lemon and Sugar Scrub and my favourite is an egg white mask with a drop or two of lemon. Wow, I see myself – happy and still being with my special someone, having finished my masters; my blog would have expanded to include an actual magazine and branching out into broadcasting a television show. I also see the sisterhood I started with my friends Good Girls Go To Heaven spreading and expanding globally. In a nutshell I see progression, expansion and fruition. 8. What is your advice to the younger 21-year old you? You really need to put a filter on the things you say and do. You will cringe in the future at some of the things you said and did. At some point; the people you love and care about will hurt or disappoint you. It’s up to you to decide how you will respond to it. You response will either cause you to sink or rise above it. Thanks for stopping by Maggie! Have a lovely weekend. I like the ideao of interviews. And yes we love our christian women bloggers, spreading the gospel through fashion. Congrats on completing school by the way. Thank you Shelleen! I'm glad you enjoyed it. your blog looks awesome! Let's do a collab :D?